The Ohio range is a beautiful Cane suite, with 3 pole arms for extra strength. 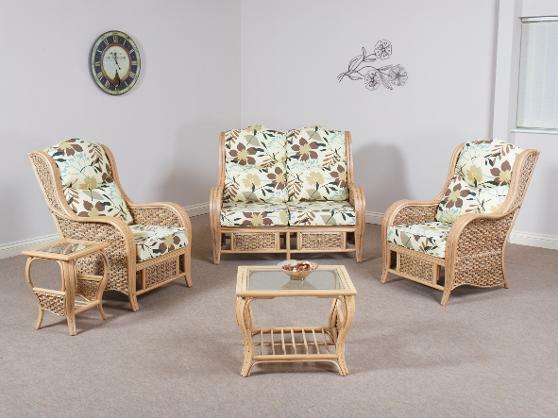 The elegant sweeping design is complimented by the thatched detail in the front and side panels. Shown in NatWash finish with Fandango Chocolate fabric.